Mai Luxury Self Catering Guesthouse is perfect for long stays or stop-overs. 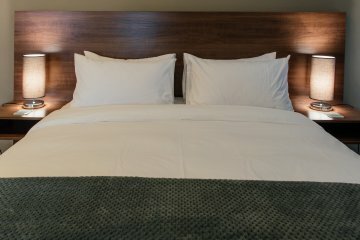 Clean, neat, spacious rooms with modern luxuries and old world values. Mai Guesthouse is a luxury Self-Catering Guesthouse that caters for the discerning individual who demands only the best in Self-Catering Accommodation. 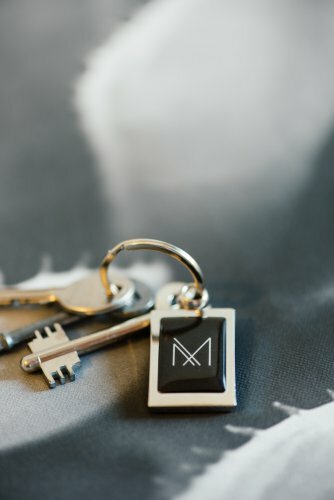 At Mai, we believe in luxury, we believe in comfort, and we believe in surpassing expectations. 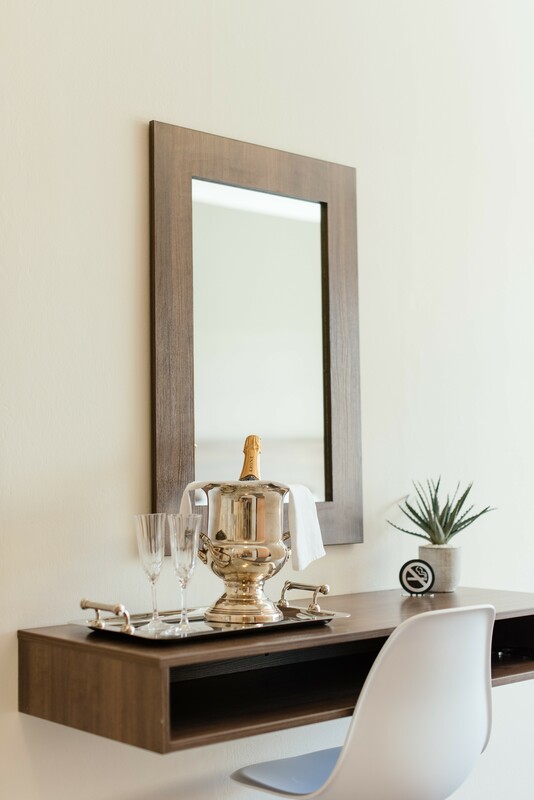 With this in mind, we have created seven sleek, modern, and elegant rooms, with high-end finishes. All rooms are complete with free wifi, Dstv, large beds with your choice of either firm or extra soft pillows, extra spacious wardrobes, fully equipped kitchens, and modern styling. 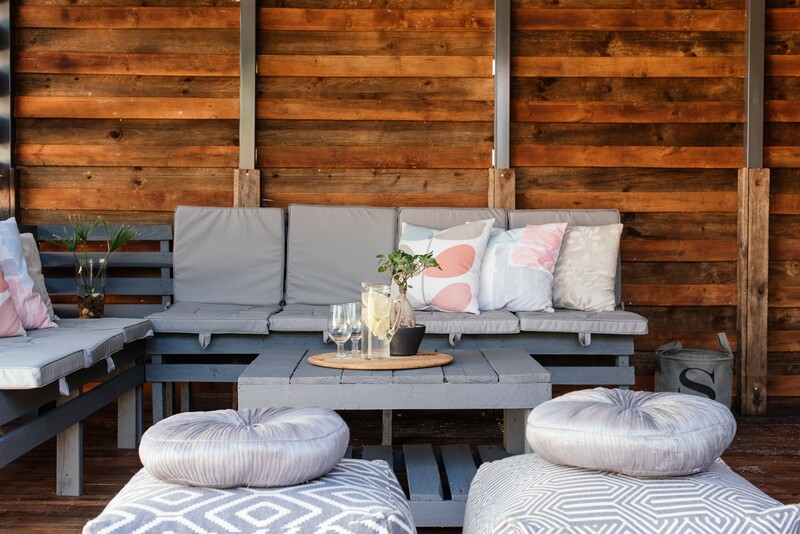 There is a private lapa with braai facilities on premises where you can relax and enjoy the warm summer evenings with friends and family, or just catch a relaxing afternoon nap to the peaceful sound of chirping birds. 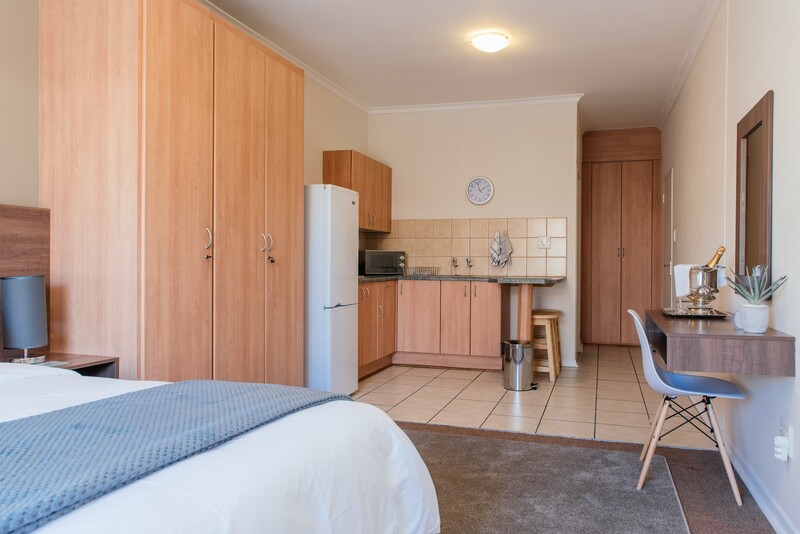 We pride ourselves on having the cleanest rooms in Bloemfontein with the friendliest staff around, so book your stay today for your next business or recreational trip to make Mai your perfect solution for all your accommodation needs.